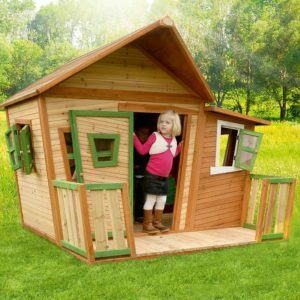 AXI offers a range of wooden playhouses for children from 3 – 12 years. 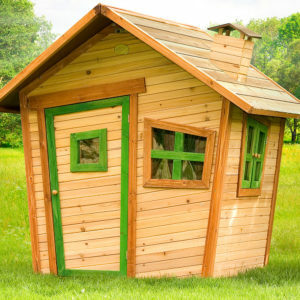 With lovely colors & beautiful details the playhouses are a real eye-catcher. In and around an Axi playhouse, children can climb, slide and discover to their heart’s content. An Axi playhouse is a child-sized fantasy home. 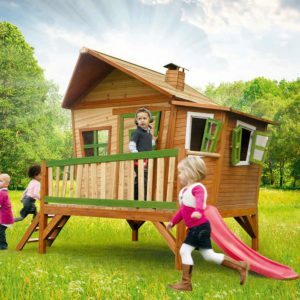 Some playhouses come with their own veranda while others have a slide or a sandbox. 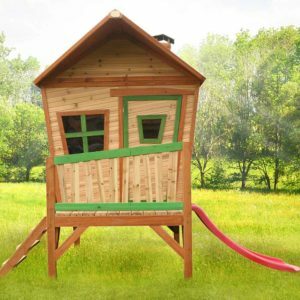 Use our KBT accessories to add additional function and imaginative play to your playhouse. 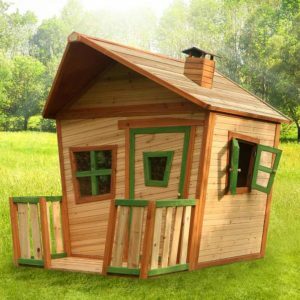 Easy to assemble, all AXI playhouses are supplied with pre-drilled, ready-to-fit, painted panels. It really is child’s play! The only thing you need to do is piece together the panels with a few easy steps, following the easy to use manuals supplied. Read more about AXI Playhouses *Please note that slides and accessories are sold separately. 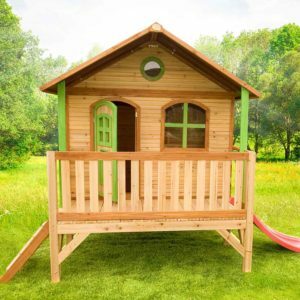 AXI playhouses are made from Asian cedar wood (100% FSC wood) and is sourced from carefully managed, sustainable plantation forests. What is FSC Wood? Click here to read more.